Where to shop, eat, drink and stay? For Bed & Breakfast, holiday rentals and other places to stay in the village and wider area, contact the Tourist Office in Beverley (details on the About Us page). The shop is owned by the local family firm, D&S Retail, which also owns shops in Cherry Burton, Leven, Skirlaugh and Brandsburton. 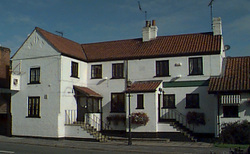 They are based in Ladygate, Beverley. As D&S is a small family business they try to focus on locally sourced produce; for example, the eggs come from Warcup's in Beeford and the very popular bread/pastries/cream cakes are from Coopland's in Scarborough. 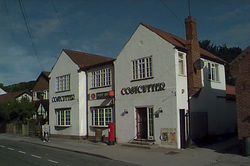 Newsagents, off-licence, groceries, fresh meats, fruit and veg, frozen foods, a deli counter and even a hot drinks machine! Pretty much the perfect village store and open all hours too. refurbishment to all areas and a cafe, Eliza's, has been opened. Weddings / Functions / Parties by arrangement. Built in 2008, the Country Lodge is a single storey hotel with 10 rooms. All rooms are en-suite and have wi-fi, tea/coffee making facilities and plasma TVs. 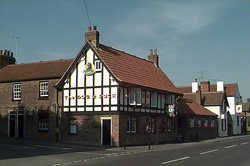 Owned by Thwaites, The Barrel is the smallest of the three village pubs, with its own unique character. The cosy interior is complimented by a secluded cottage-style beer garden to the rear. It is very much a drinkers’ pub, taking pride in its Cask Marque accreditation for the range and quality of beers available. The Barrel hosts semi-regular acoustic entertainment evenings. Thursday night is quiz night and there is a satellite TV for major sporting events, especially football. Darts and dominos are popular: new members for The Barrel’s teams are always welcome! The Dog & Duck has benefitted from a complete refurbishment, inside and out, in recent years. A choice of menus offer a collection of classic pub meals, platters, lighter choices and speciality dishes. The Barn House is now closed.